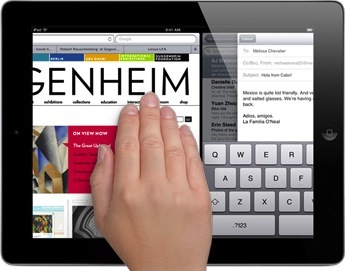 The first generation iPad got iOS 5, but it didn’t officially get multitasking gestures or display mirroring. Not a huge deal, because a user on ModMyi figured out how to enable these two features and has released a modified version of redsn0w so that it unlocks these abilities, without a jailbreak. It’s pretty easy to use, so if you want to enable these features here’s how to use the tool and make your first-gen iPad feel a bit more modern. Warning: This is for iPad 1 only. The gestures and mirroring already exist on iPad 2 making this unnecessary. Backup your iPad beforehand just in case something goes wrong, and proceed at your own risk. Once it’s turned on, the easiest way to verify is by pinching with four fingers to see if you return to your home screen. Does this work with the VGA cable mirroring as well? Yup video mirroring works but it has to be a cord I can’t do the wireless to Apple TV but I read that some people can. But after using this idea,will the next update from apple for ipad work well? anyways, will i face problems when i upgrade my iOS the next time? i jailbreak my ipad1, everyting goes fine, i see the pineapple logo but there is NO cydia icon on the springboard. Already boot tethered 3x still nothing. any help? Thanks. Sorry, I don’t understand the Display Mirroring part. How can I use the source code?